Verly light easterlies in the morning, turning W around mid-day. Mostly cloudy, later a bit of sun. 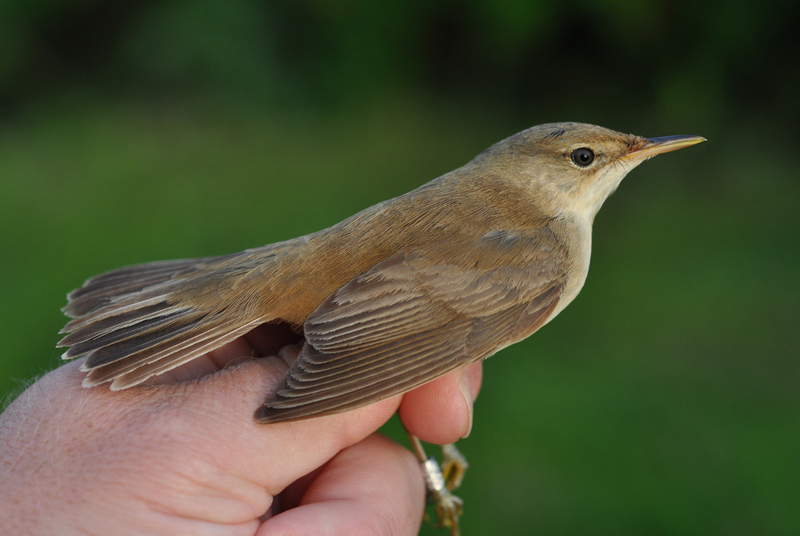 Playback on Garden Warbler, Reed Warbler and Grasshopper Warbler through the night, and Tree Pipit/Sand Martin during the day. 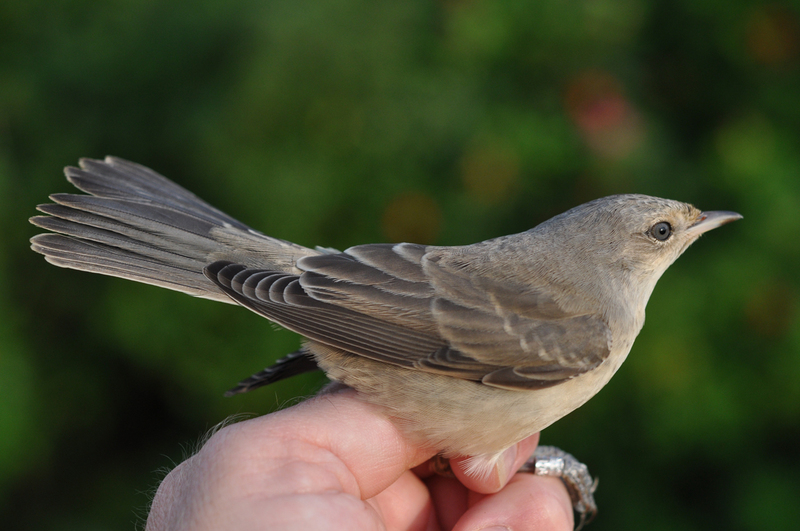 Ringed: Sparrowhawk 4 (first this season), Collared Dove 1, Tree Pipit 16, White Wagtail 1, Sand Martin 18, European Robin 1, Grasshopper Warbler 5, Reed Warbler 1, Sedge Warbler 1, Garden Warbler 8, BARRED WARBLER 1 (first this season), Blackcap 1, Common Whitethroat 2, Willow Warbler 9, Spotted Flycatcher 1, House Sparrow 2, Tree Sparrow 6, Greenfinch 10, Eurasian Siskin 16, Lesser Redpoll 5, Yellowhammer 1. Total = 108. Also 7 controls. 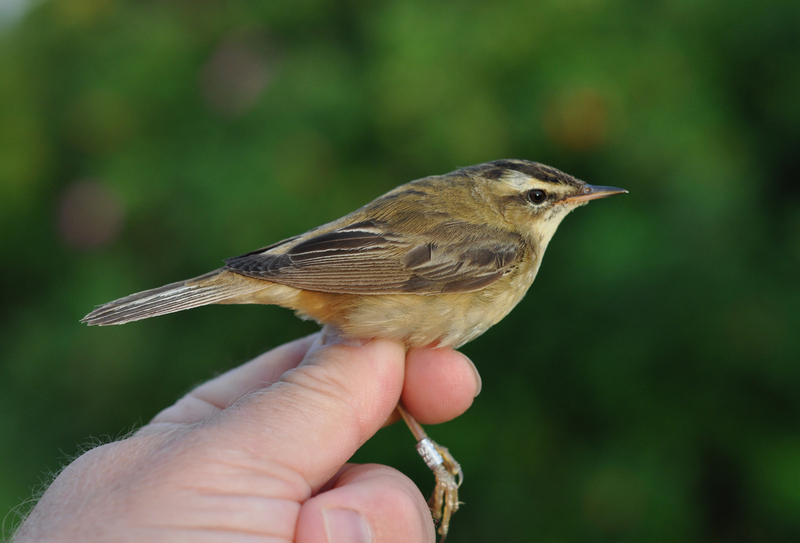 One each of Sedge Warbler and Reed Warbler today, both were adults (2cy+). Adults are quite scarce in the catch, therefore we taken the opportunity to show the ageing criteria: Both species moult in the winter quarters, and can be aged on the very worn plumage when trapped in August. Wear is often most obvious in tertials, greater coverts and tail. 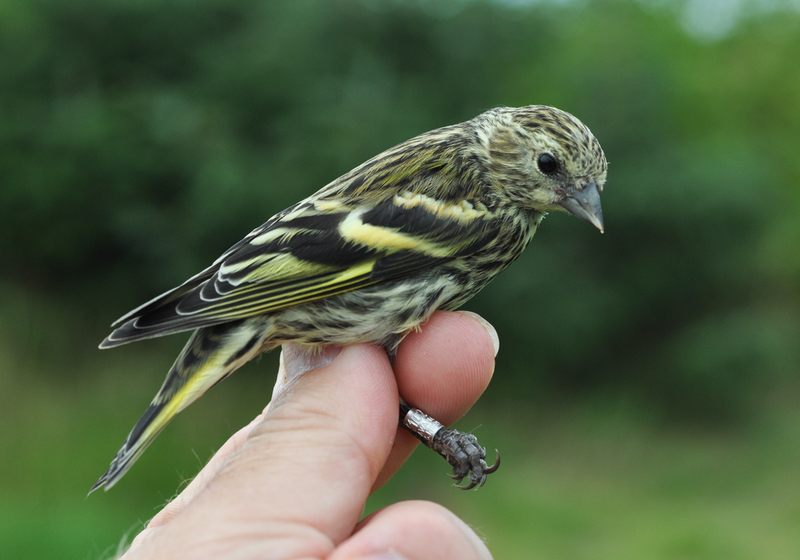 Quite a few siskins have turned up the last days, a species we normally don't catch in any numbers at Revtangen. All have been 1cy birds. Åpningstider er væravhengige, eller etter avtale. På dager der stasjonen er bemannet, vil det enkelte dager komme opp åpningstider på kort varsel. Vi anbefaler å komme på vårt arrangement "Åpen dag på Revtangen", siste søndagen i august.